Jerusalem (AFP) - Israeli Prime Minister Benjamin Netanyahu announced Sunday he was relinquishing the role of foreign minister and handing it to a right-wing rival from within his Likud party, Israel Katz. 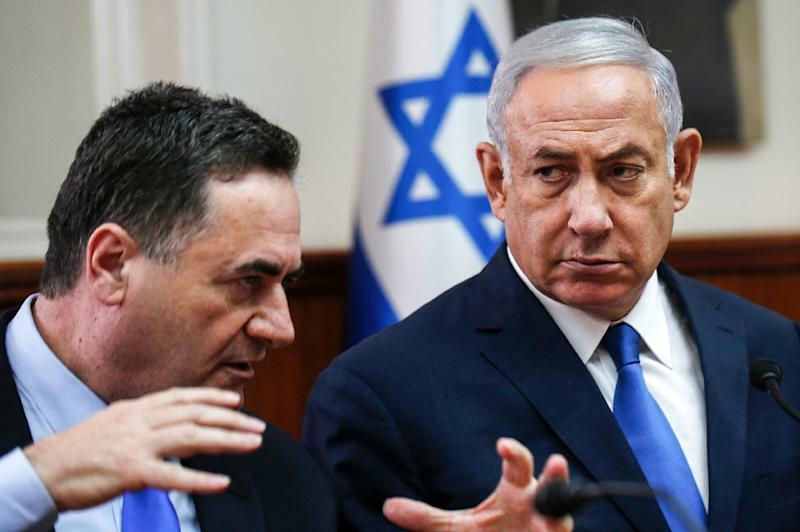 The move comes ahead of April 9 elections and follows court challenges arguing Netanyahu -- who is also health and defence minister -- has taken on too many governmental portfolios. A Likud spokesman said Netanyahu intended to appoint Katz as acting foreign minister without providing further details. Katz is currently transportation and intelligence minister and it was unclear whether he would give those roles up. He called the appointment a "moving moment". "Together with the prime minister we will continue to advance and lead Israel's foreign policy to further achievements," Katz said in a statement. Katz holds right-wing views on the Israeli-Palestinian conflict and has said conditions are not in place now for a two-state solution. In 2017, he advocated a plan that critics said would amount to de facto annexation of a number of Jewish settlements surrounding Jerusalem in the occupied West Bank. The proposal was shelved. He has spoken of ideas such as building an island off the Gaza Strip to provide the blockaded Palestinian enclave with infrastructure including electricity and clean water. Katz also promotes a plan for a railway linking Gulf states to the Mediterranean via Israel as part of a bid to normalise relations with Arab countries that currently do not have formal ties with the Jewish state. Netanyahu's choice of Katz was seen by a number of analysts as part of political manoeuvring ahead of the April 9 polls. Katz, 63, is a senior Likud member and wields influence within the party. He has spoken of his ambition to be prime minister, but has no current plans to challenge Netanyahu. The foreign minister portfolio is viewed as more prestigious and high-profile than Katz's current roles. Polls suggest Netanyahu is on track to win the elections despite a series of corruption investigations against him. The attorney general is expected to announce in the coming weeks whether he intends to indict the prime minister. An announcement on indictments before the polls could shake up the campaign. Netanyahu, 69, has been prime minister for a total of nearly 13 years.